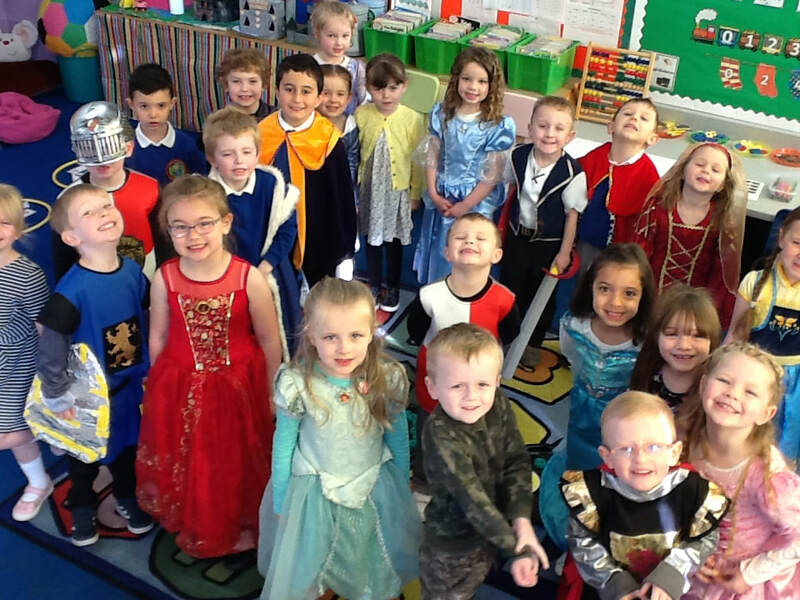 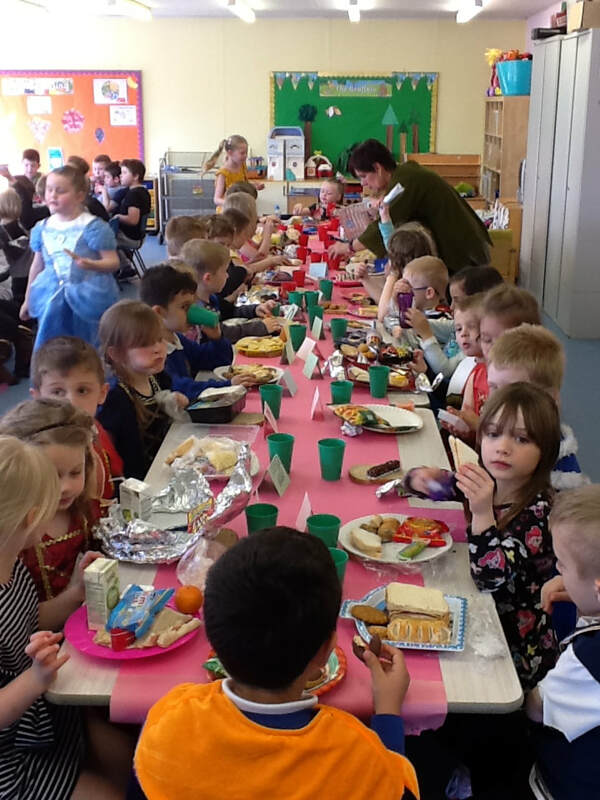 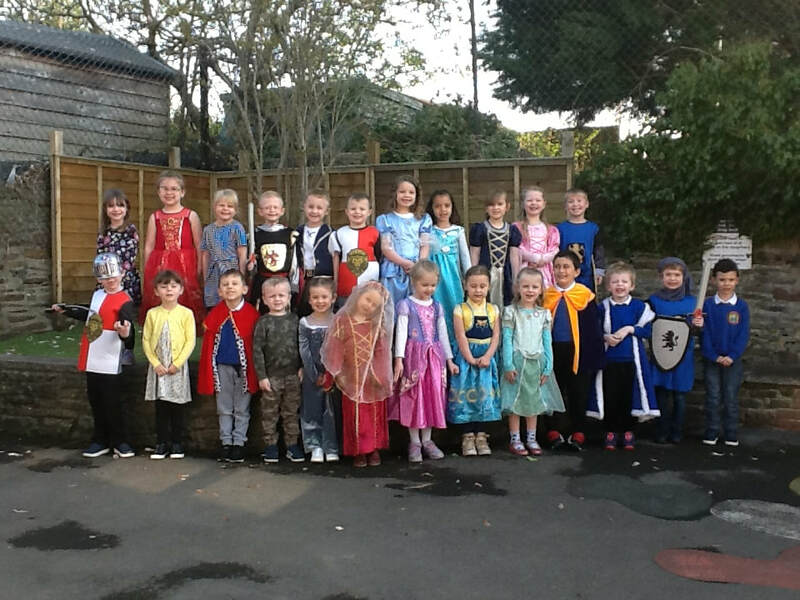 We had a wonderful Royal Banquet today to end our fantastic learning on our Castles and Dragons topic. 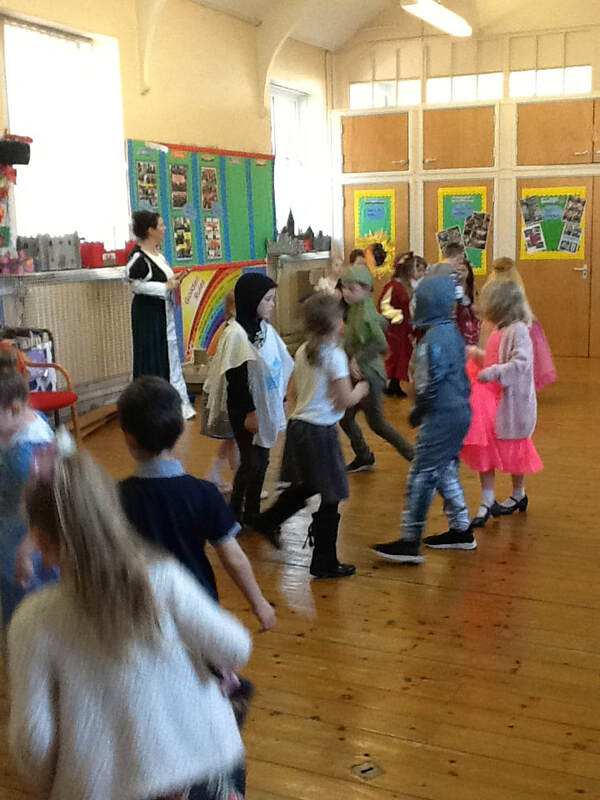 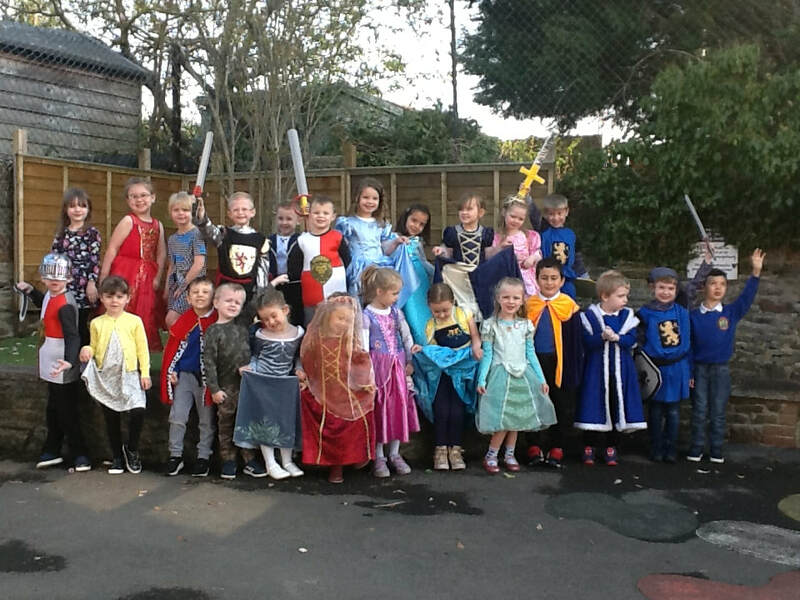 We have thoroughly enjoyed learning lots over the term and ended it with lots of fun and games in the castle banquet. 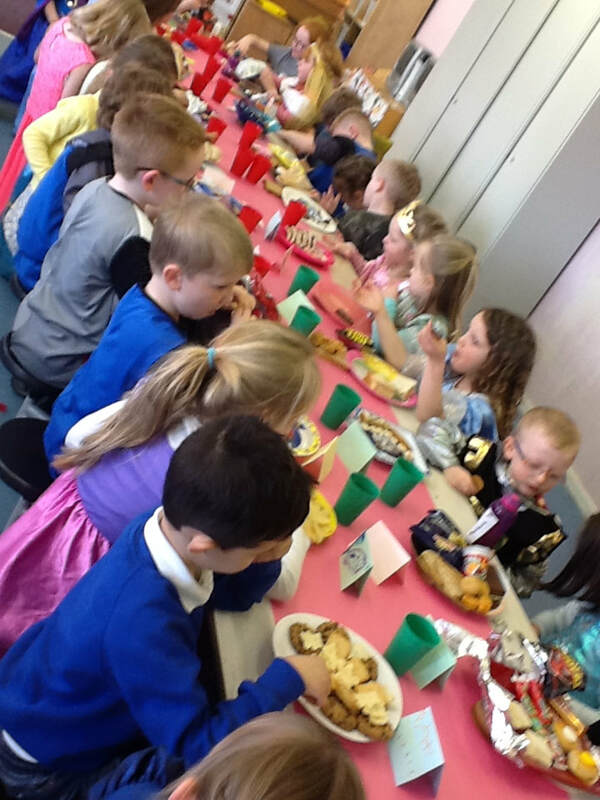 We made party bunting and place cards to use for the banquet and even wrote invitations to invite our royal friends which we tea-stained to make old. 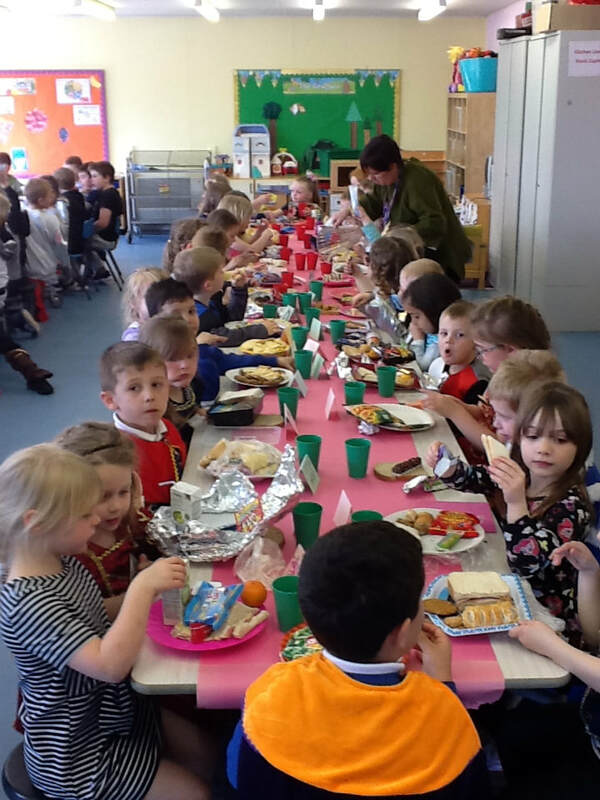 We used brown bread as our plates - some of us even had a nibble. 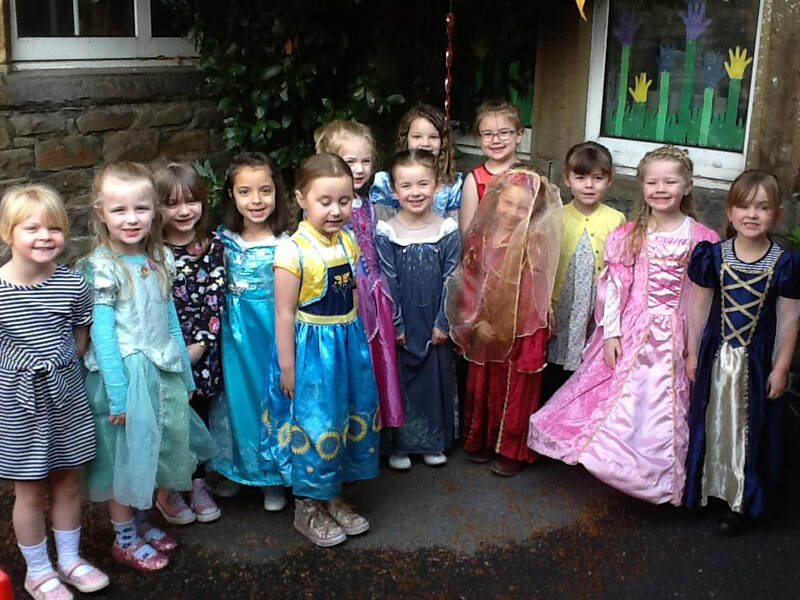 We all looked fantastic in our beautiful outfits. 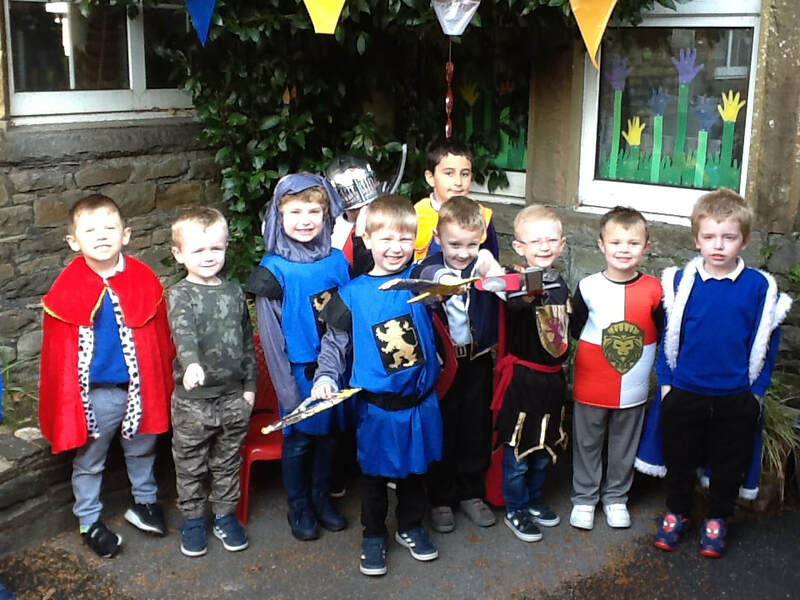 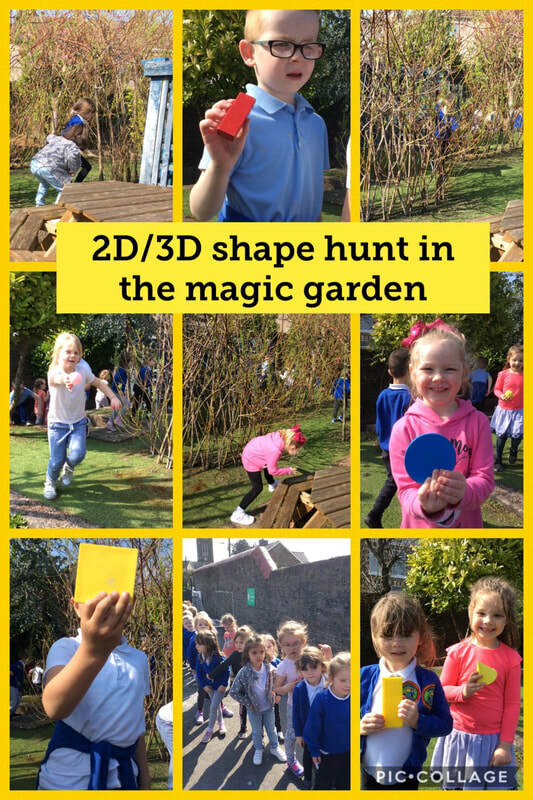 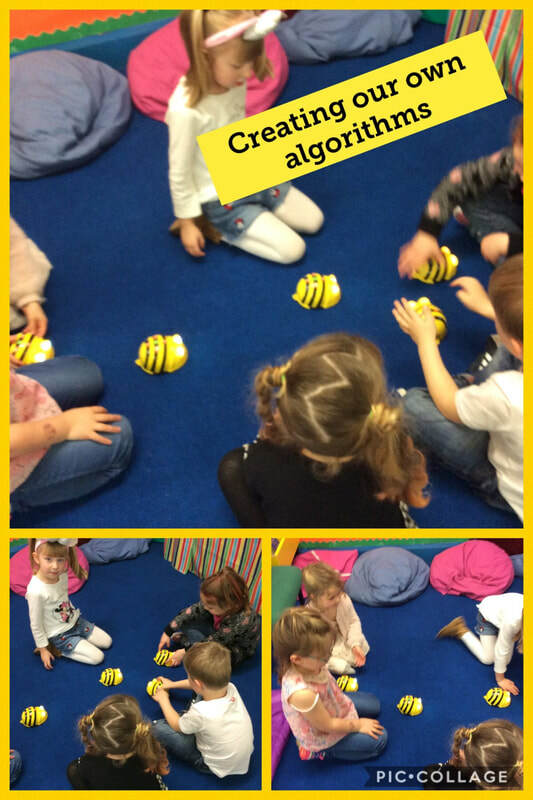 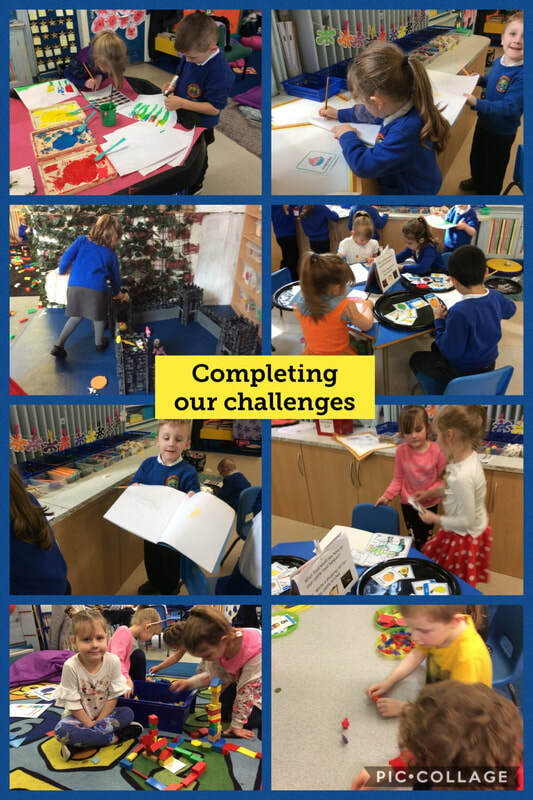 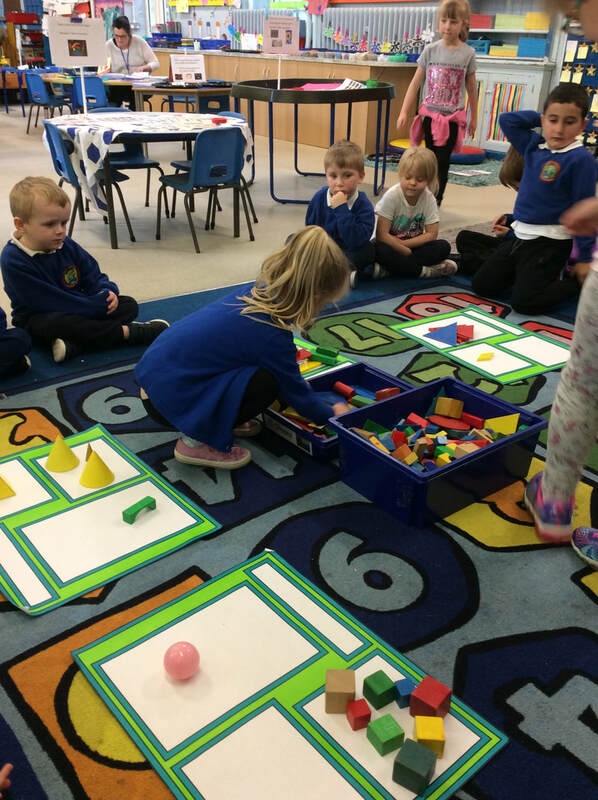 Well done Reception/Year 1 and great job Foundation Phase department. 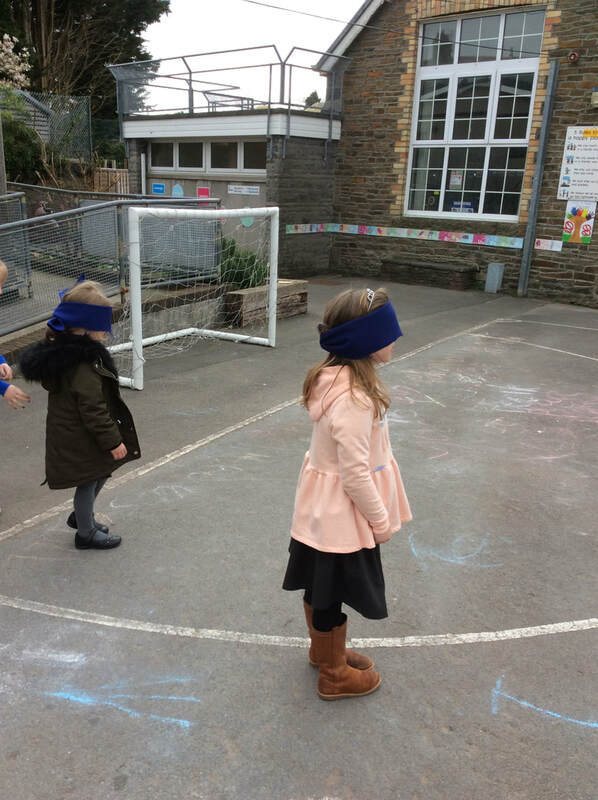 Our algorithm game: trusting our partners to direct us to different parts of the castle....not the dungeon! 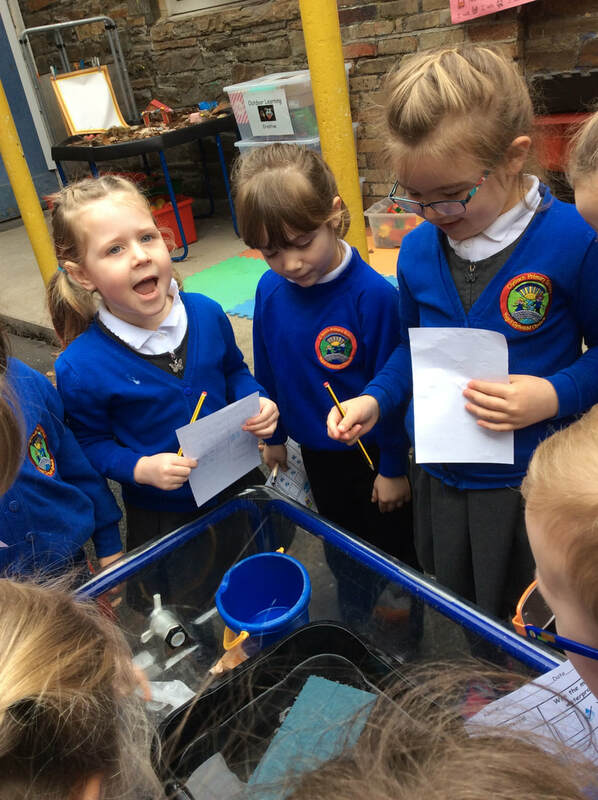 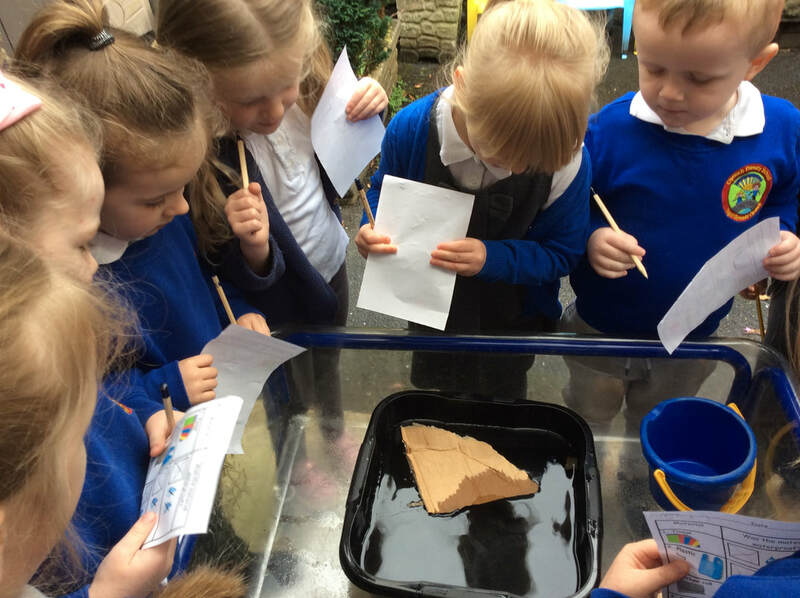 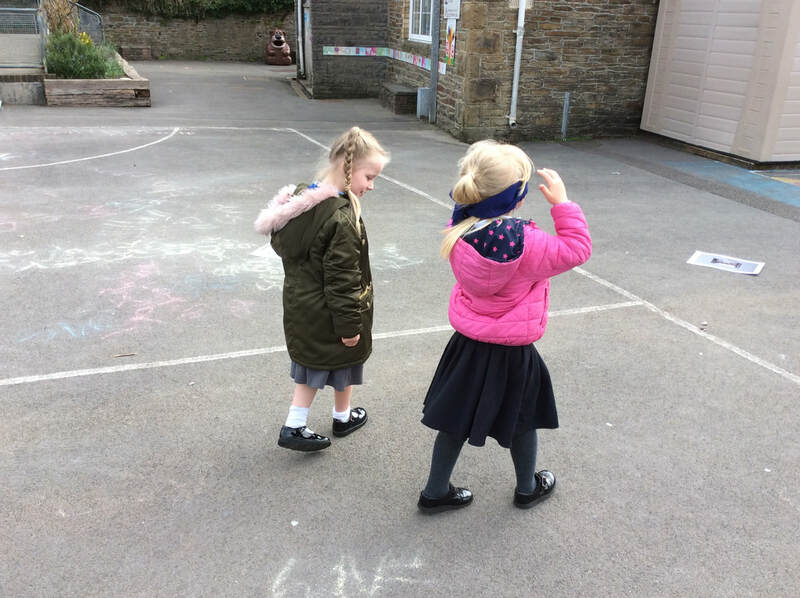 Testing materials - Which ones were waterproof?